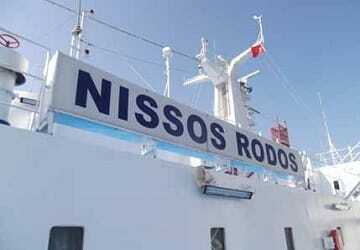 Nissos Rodos was built in Japan in 1987, it has a passenger capacity of 1600, can carry up to 750 vehicles and has 172 beds spread across 60 cabins. Onboard you will find various amenities to enjoy including a boutique shop, self-service restaurant, comfortable lounges, movie theater room, a bar and a panoramic sea view area. 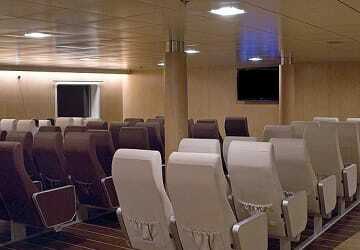 Nissos Rodos offers three differing cabins all with toilet and shower facilities. The Luxury Cabin is an external view 2 bed cabin with plenty of space, sofa, television and more than enough storage for your luggage to be kept safe in, double bed cabin which is two beds placed next to each other and a four bed cabin which consists of two stacks of bunk beds adjacent to each other. 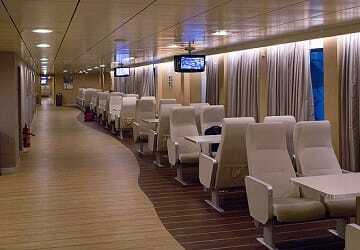 If booking a cabin is not for you there are plenty of seats available to choose from in the lounges with options ranging from a sea view seat to a basic airline style seat. Meals are available in the Lindos self-service restaurant with a choice of many different dishes on offer. After you finish eating you can go into the Castillo bar for a relaxing hot or cold beverage. Please Note: Whilst we have taken great care in making our Nissos Rodos guide as accurate as possible, onboard facilities, services and entertainment may vary depending on the date and time of year that you travel, facilities mentioned may change without notification and ferry companies reserve the right to operate vessels other than those mentioned at time of booking without prior notification. 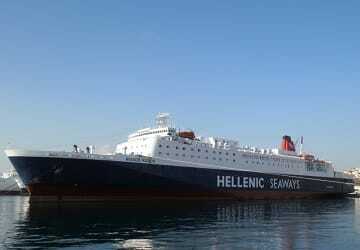 Excellent service from all of the team, always there to offer a good service when needed, would strongly recommend Hellenic seaways to anyone.